We’ve talked a lot about tools on this blog — my own “Fiction Editors’ Resource Kit,” Jack Lyon’s many essays about wildcards and macros in Word, Amy Schneider’s quartet on style sheets, and Rich Adin’s articles on productivity macros (see, e.g., “The Business of Editing: Keeping Reference Callouts in Number Order”) — all to make editing a more efficient process and profitable business. This essay discusses how different software tools can be applied at specific points in copyediting or line editing fiction. The example used is my own process, with the caveat that it is one of many approaches, no better or worse than someone else’s; and it is dynamic, constantly being refined as I learn more. (For another view, see the three-part series “The 3 Stages of Copyediting: I — The Processing Stage,” “II — The Copyediting Stage,” and “III — The Proofing Stage”). The point is to share ideas with editors unfamiliar with the tools, and invite editors who do use them to share their own ways. Noneditors, meanwhile, can gain a better understanding of what goes on behind the scenes. The tasks for which I use software tools divide into pre- and postediting, which I call preflight and cleanup. The preflight pass removes minor errors and inconsistencies that cause distraction during content editing, while the cleanup pass lets me catch anything left over or introduced. In both, the tasks are global sweeps using applications selected from packages designed for editors: Editor’s ToolKit, EditTools, Computer Tools for Editors, and PerfectIt (described below), plus some of my own. 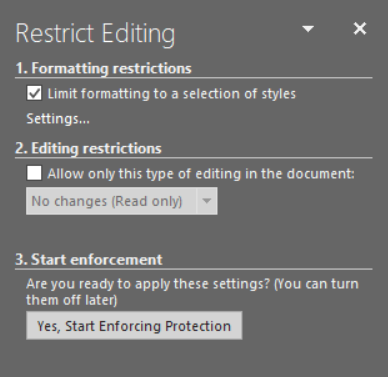 During the editing pass, however, I stick with Microsoft Word’s internal features: Track Changes to show content revisions and queries, and find/replace to make any global changes that result from editorial decisions as I go. Simultaneously I use an Internet browser for reference checks and lookups. Editorium’s FileCleaner — This does exactly what its name suggests: cleans up extraneous elements in the text, such as extra spaces, tabs, and carriage returns; errors such as mistyped numbers (e.g., lowercase L for numeral 1); and incorrect characters, such as straight quotation marks instead of “smart” or typographer-style quotes. I don’t allow the automatic fixes for dash style, small cap usage, and italics, because I deal with those separately on a manuscript-by-manuscript basis. EditTools’ Never Spell Word — I’ve customized this tool to flag terms I frequently misread: lets/let’s, its/it’s, woman/women, vice/vise, form/from, awhile/a while, lead/led, and the like. Never Spell highlights these terms so you can’t miss them. Either I review them in a dedicated pass, making corrections then clearing out the highlights, or I review them individually while editing, and unhighlight one at a time. Paul Beverly’s ProperNounAlyse — This macro from Beverly’s Computer Tools for Editors collection generates a list of words starting with a capital letter. I like this tool because it identifies different kinds of terms I use to build my style sheet (along with misspellings thereof). It gathers not only character and place names, but also unusual proper nouns that might appear in genre fiction, such as titles and honorifics, peoples, magical systems, planets, ships, autos, and firearms. As well, ProperNounAlyse grabs words that may be capped in one context, lowercased in another (e.g., Hell, Christ, God — are they exclamations or religious places/figures?) and OK (which I change to okay). If the author has provided a list of names and special terms, I combine it with the list generated as a second way to uncover spelling variants or term omissions. Unfortunately, ProperNounAlyse includes every word that starts a sentence, plus other information, so manual pruning must be done before the desired words can be transferred to the style sheet. The labor is tedious but relatively swift and saves me from oversights. As I come across the words while editing, I color-code them on the style sheet. That makes the leftovers stand out so I can investigate them. Without fail, this cross-check identifies something I missed or forgot to address. Because I get manuscripts from many different publishers and authors, I’ve opted to format them myself rather than try to get everybody to conform to a standard. 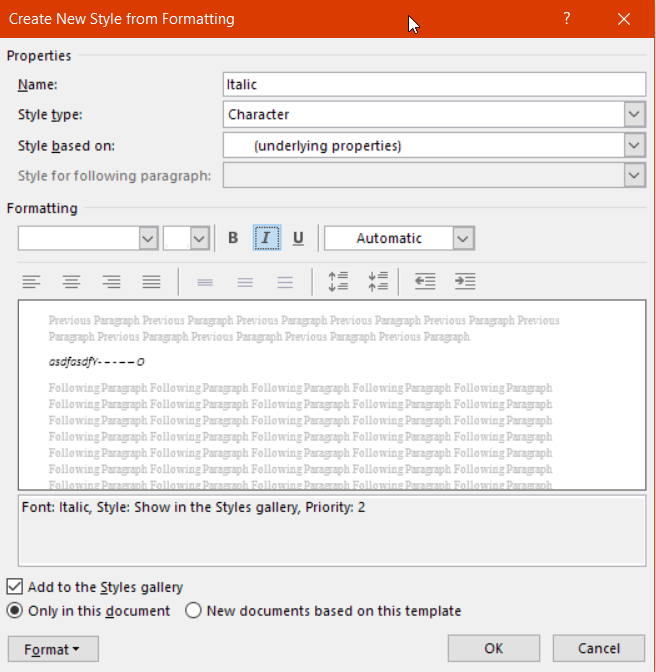 By formatting I mean making the presentation uniform and professional-looking, using Word’s Styles feature. 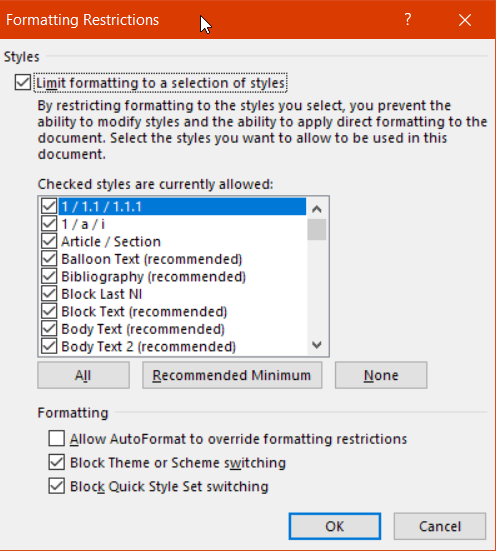 All formatting is done with Track Changes turned off to avoid overloading the document with markups. How much formatting I do influences my rate and turnaround time. With publisher jobs, formatting is a nonissue, because their manuscripts come in with Styles already applied, customized to house preference. All I have to do is adhere to their preferences while editing. Indie author jobs, in contrast, often arrive in a messy state. A minority of authors understand how to use Styles or even do basic word processing, and many are as creative in their presentation as they are with their stories. For those manuscripts I turn on the hidden characters view to see whether paragraph indents are tabs or spaces, chapters are separated by page breaks or extra carriage returns, and so forth. I tidy things up using find/replace, then start at the top and set Styles for chapter heads, body text, epigraphs, and anything else relevant to the novel. When I know in advance whether the author will be traditionally or self-publishing, I tailor ellipses and dashes as part of formatting. Print books commonly use ellipses with spaces between points and before/after ( . . . ); plus em dashes without spaces on either end ( — ). Ebooks, conversely, often use the ellipses character with no spaces between points (…), and maybe spaces before/after; plus en dashes with spaces on either end ( – ). Adjusting these via find/replace takes little time, though it expands if I add hard spaces to link the symbols to adjacent words to prevent bad line breaks. 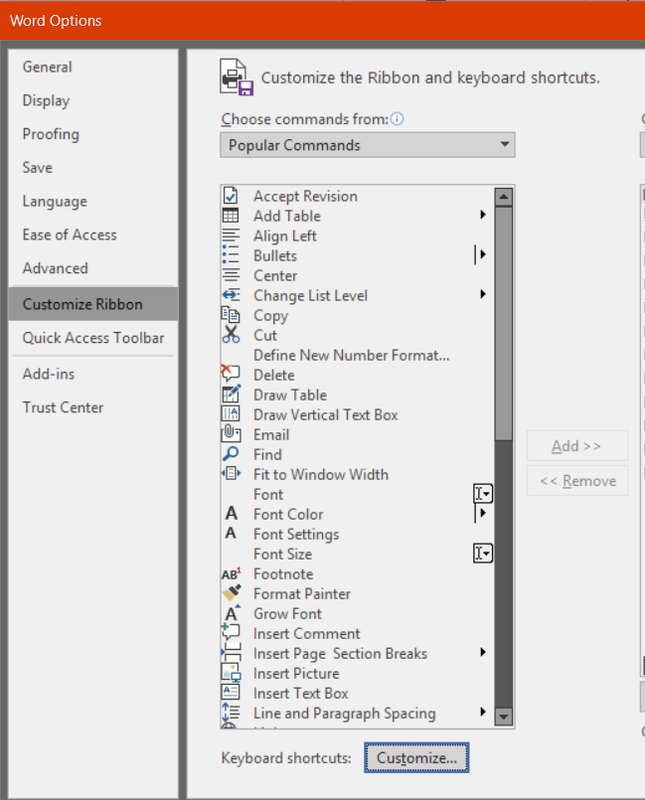 At present I’m testing different combinations in EditTools’ F&R Master to gain a quicker way to achieve the same end. Recently I’ve added a separate styling pass for italics. Italic use, like dialogue, can be heavy in novels, and it’s a nightmare for everyone when italics vanish from a document during its passage between hands. Assigning a character style to italics preserves them from draft to publication. At the same time I can check that any punctuation following italics is properly italicized or roman. Yes, formatting is extra work. But it makes life easier for both me and the people who follow. For me, Styles allows a one-step adjustment of the typeface for optimum onscreen reading, which I can then return to the client’s preference before delivery. For authors, a formatted file lets them just plug in their revisions and move on. For production folks, a consistently styled manuscript uploads into a page layout or ebook conversion program with fewer headaches. Paul Beverly’s TestQuotes to catch unpaired quotation marks. His macro collection in Computer Tools for Editors also includes CheckParens to find unpaired parentheses, which I’ll run if the story contains parenthetical material. 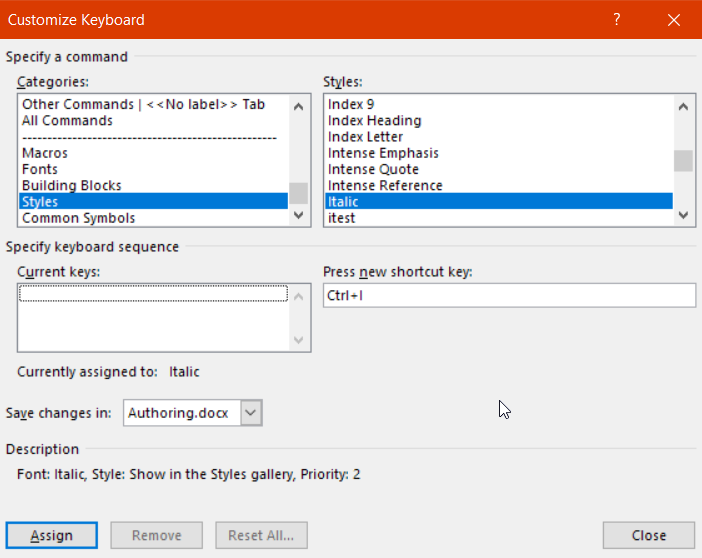 Manual searches for inverted quotes and apostrophes, leftover or introduced straight ones, incorrect or missing punctuation inside the quotes, extra spaces before and after all punctuation, missing periods at ends of lines, et cetera. I do these searches manually instead of rerunning FileCleaner, because there are just enough exceptions that I don’t dare do a background or global process. For the same reason, I haven’t bundled these individual searches into a custom macro. Intelligent Editing’s PerfectIt to catch mismatches in hyphenation, spelling, capitalization, and number usage. I turn off the tests unrelated to fiction; for instance, checking table and figure heads, abbreviations, and bullet lists. I also skip the test for contractions, having already checked for troublesome ones like it’s and let’s, you’re and we’re. Word’s spellchecker. This is the final task for every job. It always catches something I missed or change my mind about. A final proofread always catches something, too, but not every job allows that, owing to constraints in scope of work, schedule, or budget. Electronic tools are doubly important in such cases. When I do proofread my edit, I change the manuscript’s appearance through type size, font, and line spacing (made easy when Styles have been applied) and turn off Track Changes. I also alter my physical setup, moving the file from desktop to laptop and myself from chair to couch. The combination makes the material seem new and lingering errors more visible. As mentioned above, this system isn’t the be-all, end-all for manuscript editing. (“Your mileage may vary,” colleagues regularly say.) I offer my system to illustrate how and where in the process different tools can be used. And there are so many more to investigate! Just adopting my current set has been an investment that keeps paying back with increased speed and accuracy. Other combinations work better for other editors; we’d love to hear about yours.